Are you game for a change? I’m quite certain that you have heard of or tried Buffalo Wings before, but have you ever heard of or tried Buffalo Pork Ribs? 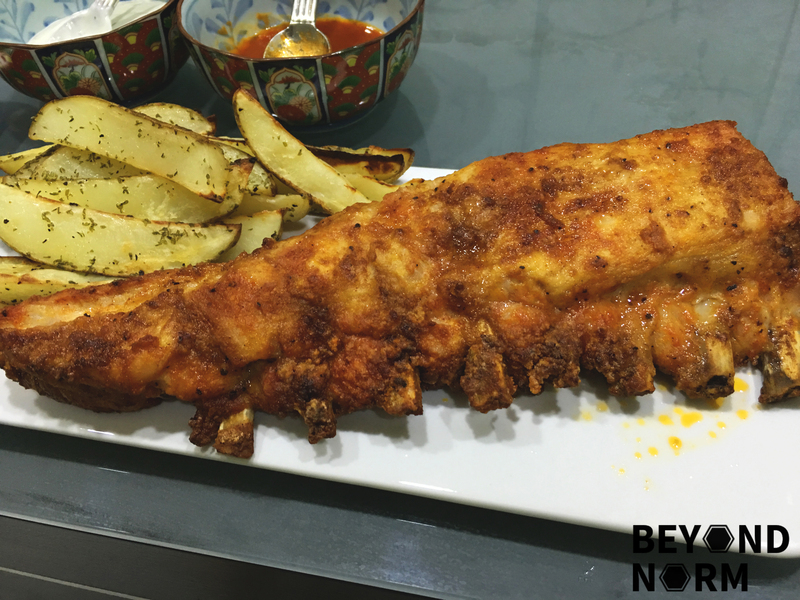 Initially, when I made my Buffalo Ribs, I was sceptical about the outcome but was so delighted that it turned out tasty and flavourful. In our opinion, it’s even better than the wing’s version. The ribs were slightly crispy on the outside and juicy on the inside. They tasted superb with the blue cheese dip and hot sauce. Yes, blue cheese; you might say, ‘Eeee”. I said that too when I first made it, but this sauce with the ribs was like a perfect match! If you are thinking of something different this festive season, how about trying out this recipe to appease the taste buds of those who are adventurous and wants a real kick (you can level up the spiciness by adding more hot sauce) to start the new year!! Salt the Ribs and leave it for 5 minutes. Rinse off the salt, then pat dry with paper towels. 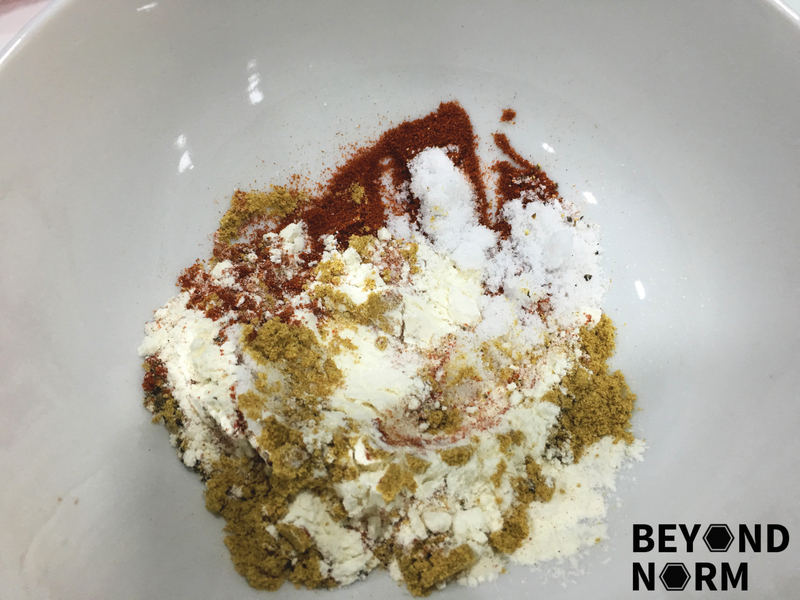 Combine the baking powder, smoked paprika, cumin and the salt. Rub the mixture on the ribs evenly. Place the Ribs on the rack. Bake in the oven for 30 minutes. Turn up the oven to 220°C and bake for another 50 to 60 minutes or till crispy and cooked through. Whisk all the ingredients together. Keep warm or reheat just prior to using. 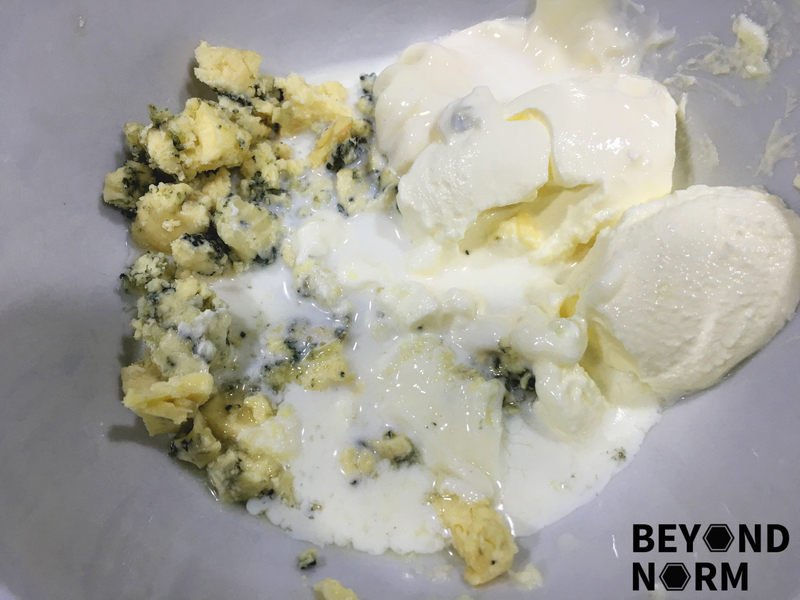 Mash the blue cheese with sour cream until smooth. Add in the remaining ingredients and 1 tablespoons of milk to combine well. Add in more milk to get it to the consistency you want. Store in the fridge until required. Remove from the fridge 10 minutes before serving. 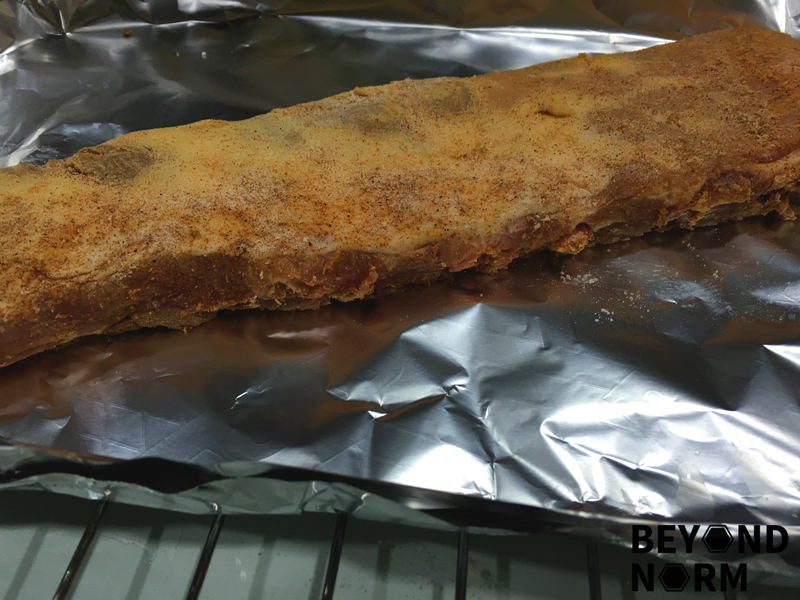 Once the rack of ribs is cooked, let it rest for 10 minutes before serving. You can pour the hot sauce over the ribs and serve immediately with the cheese dip at the side, or like me, you can let each individual scoop the amount of sauce and dip to their liking. Thanks for the recipe. Sounds good and will give it a try. Just to clarify.. bake 30 mins at 180c.. then crank to 220c and bake for another 50-60 mins?